Exploration (the quest for new experiences, the ineffable, and living in an exhilarated state), Liberation (self-reliance, freedom from terrestrial social contracts, the desire to shape one’s world, and utopian (impulses), Fieldwork (hands-on, methodological intelligence gathering about the environment, such as an artist laboratory at sea), and Speculation (waterways as a tabula rasa on which other realities can be built). Within these headers is a collection of architectural works that have taken maritime themes, from large-scale housing projects to a structure that would facilitate humans' diplomatic relations with marine life. Conceptually, the show has a range of connections to architecture. All of the categories deal with the sea as a new territory where we can redefine ourselves and how we relate to one another and nature. It is not only defined by a different ground plane (water), but also by a different set of rules due its extra-legal, non-sovereign state. Once outside of the limits of “the law of the land,” new possibilities arise from this tabula rasa condition. Dutch studio Atelier van Lieshout (AVL) built a floating abortion clinic for Women on Waves, a Dutch health nonprofit that provides reproductive health services to women in countries with restrictive laws. A-Portable was a gynecological unit that helped women from Ireland, Morocco, Poland, Portugal, and Spain. The Brooklyn collective Mare Liberum takes its name from the 1609 treatise by Dutch jurist and philosopher Hugo Grotius that described the sea as “one of the last free spaces in this densely occupied urban landscape.” The artists channel Grotius as they work to explore and inhabit New York City’s waterways and waterfronts, the last open spaces where the artists feel they can be marginal and ambiguously outside of civilization. An essay by Dylan Gauthier, a founding member of Mare Liberum, can be found in the front of the book and elucidates how the collective’s two-year occupation of a yacht on the Gowanus Canal was possible due to ambiguous law and overlapping bureaucracies. The group is experimenting with new territories and space-making outside of the traditional realm of architecture or urbanism. Mare Liberum’s work also provokes new ways of living, as does Buckminster Fuller’s proposal for Triton City in Baltimore, where large housing blocks would be built on autonomous ships, and anchored in the ground. The 100,000 units were stacked like blocks within a large superstructure. If this sounds like Metabolism, it is because Fuller and Japanese architect Shoji Sadao originally designed the project for Tokyo Bay, typical of other water-based architectures of the 1950s and 1960s in Japan. 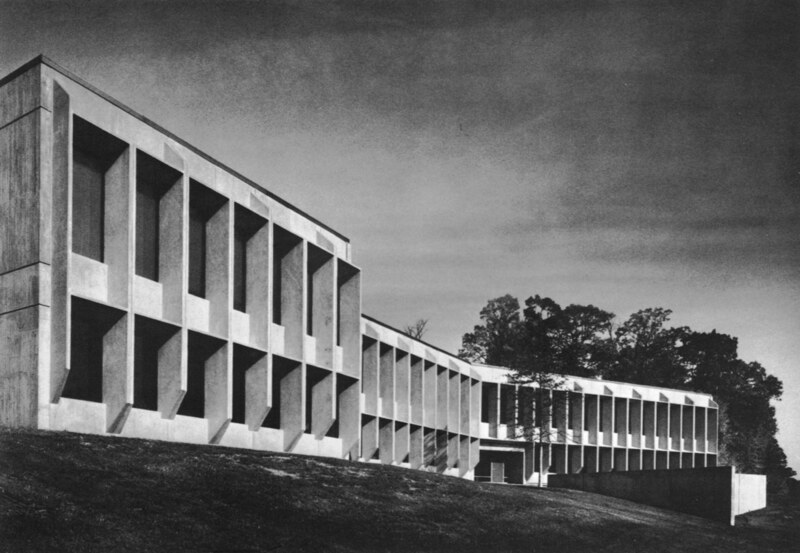 When its client died, the team was commissioned by HUD and President Lyndon Johnson. It never was realized, despite being verified by the U.S. Navy as fit for building. The model is now on view at the Johnson Presidential Library. Building out onto the water is a popular proposal these days, as Diller’s Island in New York and the Garden Bridge in London compete for most controversial territory. Also projecting new forms of interaction is Ant Farm’s Dolphin Embassy. The speculative underwater diplomatic center was conceived for exploring interspecies communication. This dolphin research platform DOLØN EMB 1 took multiple iterations, as it grew from a simple catamaran-like vessel to a futuristic, technology-driven vessel called Oceania. While the group published numerous articles and received grants for the research, the project was abandoned when they broke up in 1978. The architectural works in the show fit in well, as they are the spatial manifestation of the pioneering and experimental attitude of the whole exhibition. The works by Pedro Reyes, Mary Mattingly, and Dennis Oppenheim could easily have been included in an architectural survey, because of the territorial and social implications of the art that blur the distinctions between architecture and performance. 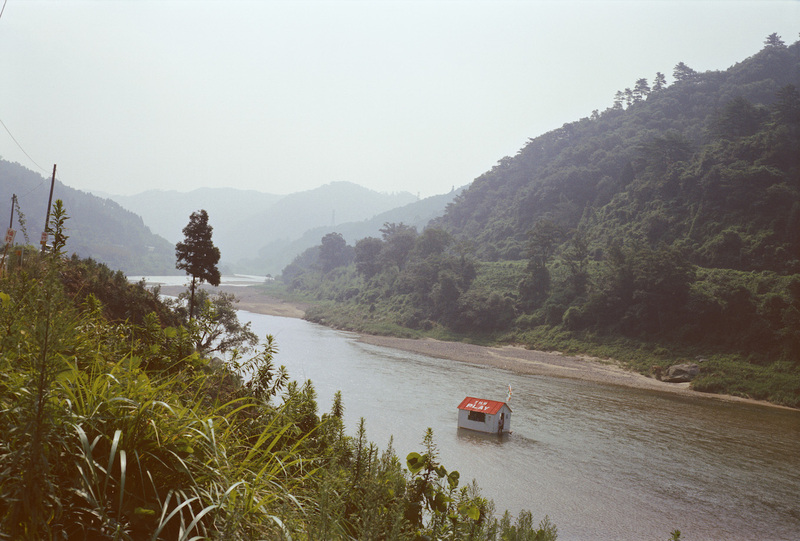 In a way, getting in a boat is an architectural act and a performance at the same time. This speaks to not only the breadth of the Radical Seafaring catalogue but also to its aesthetic and conceptual clarity. 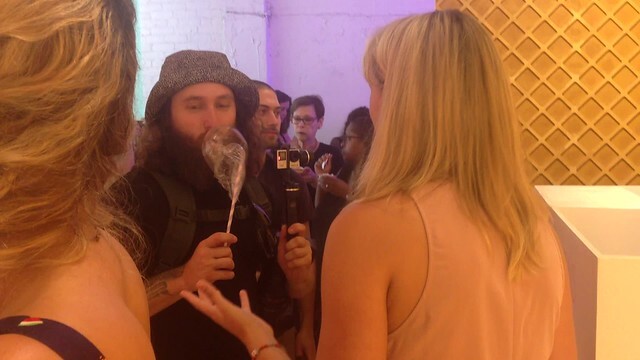 Today The Architect's Newspaper toured the soon-to-open Museum of Ice Cream (MOIC) a pop-up space in the Meatpacking devoted to the season's favorite sweet treat. I popped two Lactaid pills and licked everything. 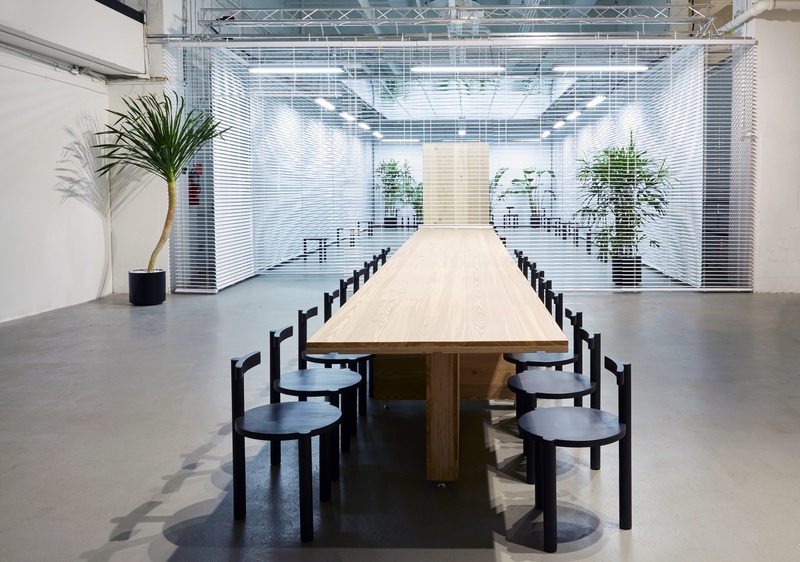 The space is the brainchild of design strategist Maryellis Bunn and Manish Vora, CEO of Lightbox NYC, a company that creates immersive brand experiences for the likes of Hewlett-Packard and Sephora. 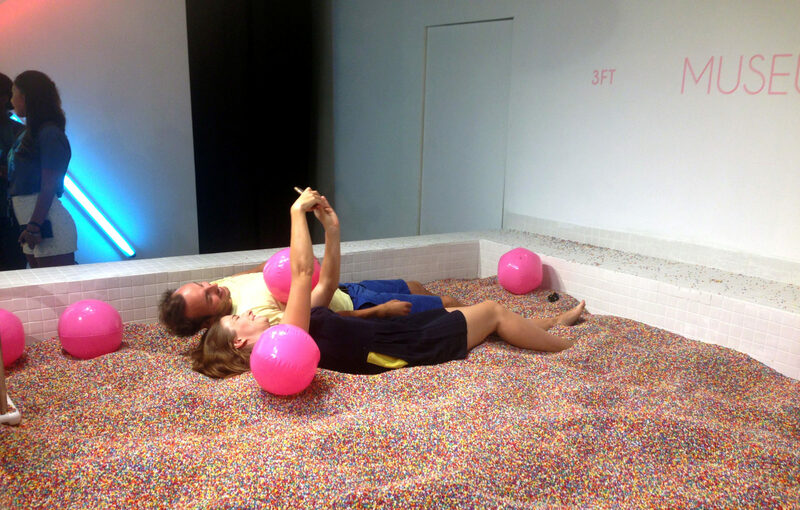 "The Museum of Ice Cream is about joy, experimentation, collaboration, sharing, and playing together, with some nostalgia, too," noted Bunn, who harbored childhood fantasy of diving into a giant pool of sprinkles. The exhibits deliver on that fantasy. Although it would be generous to call the Whitney-adjacent MOIC a museum, it is a lot of fun. One installation invited participants to practice their scoop by digging vanilla ice cream out of a commercial-sized container and deposit it on a gold chalice. Our guide noted that ice cream was invented in China circa 1000 BCE, which is probably not true. The group also created a cone display for ice cream paired with Synsepalum dulcificum (miracle fruit), a plant from West Africa that temporarily alters how different foods taste. Bright pink vanilla ice cream cones arrived garnished with lemon, which tastes sweet under the berry's influence. Future Future Food Studio founder Dr. Irwin Adam explained that the exhibit is "art meets ice cream meets taste meets science," adding that the chemical interaction caused by the miracle berries is an interesting avenue in the psychology of taste. 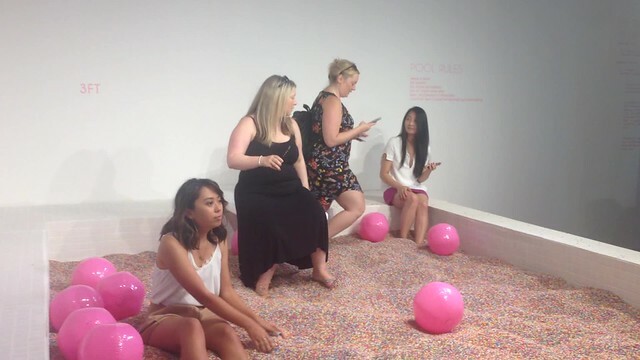 The museum’s focus on its vigorous second life online is reflected in almost pornographically playful exhibitions where a visitor can point her phone at an angled ceiling mirror to snap the perfect selfie while diving into the sprinkles pool. The reminders from staff and wall text to #MOIC #museumoficecream reinforced the performative quality of the space. The sprinkles are made of cut-up plastic beads, the kind you imagine lodged in the trachea of sea creatures, but they approximated their sugar siblings well enough. 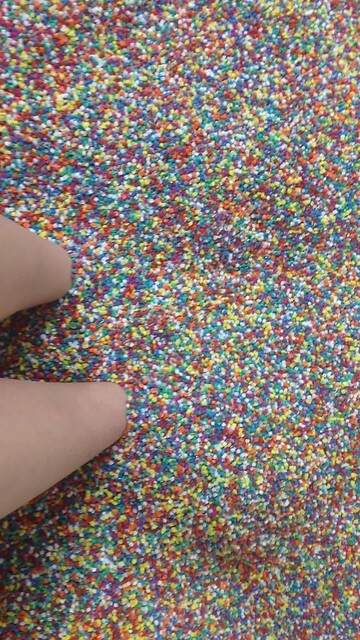 I braved the crowds (above) and possible foot fungus to dip my feet in the pool: It felt nice, a colorful response to Snarkitecture's Beach. 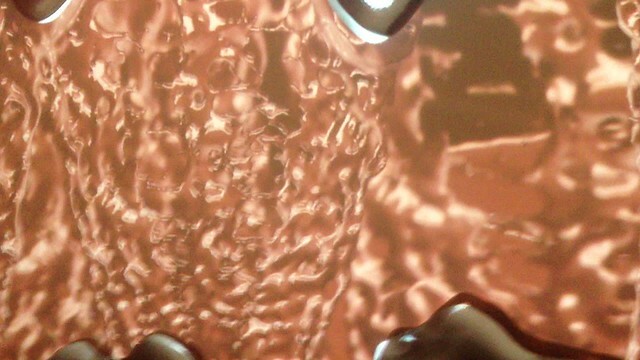 Over in the chocolate room, visitors were greeted with the rich scent of cacao, Dove chocolates, and a video installation of gushing liquid chocolate set to Lord of the Rings transition music. By the exit, there was a (chocolate milk?) 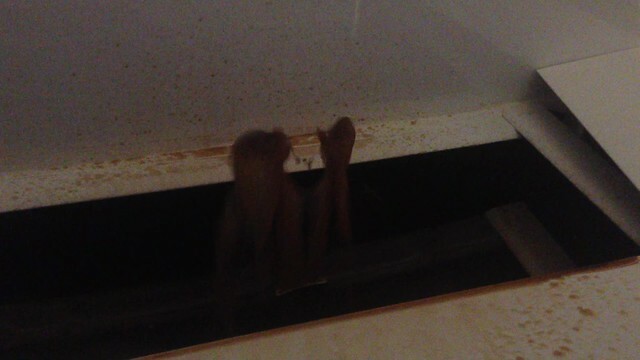 fountain splattering its juices against the back wall and basin. Growing up in a house with old plumbing, the fountain was very triggering: Pivoting quickly back to the entrance for a Blue Marble Ice Cream vanilla sundae topped with lemon-guava paste, marshmallows, and Froot Loops, I returned to the final exhibit, an indoor playground sponsored by Tinder. The MOIC says the playground—with a loveseat, seesaw, and bench swing—is the ideal place for a first date. To test out the space, I had lined up an actual Tinder date who cancelled last minute, so I had to content myself with watching others try out the seesaw, which is shaped like an ice cream scoop: Last licks: When it opens tomorrow, the MOIC expects 30,000 visitors over its monthlong run. Tickets are already sold out, but hours of operation and availability will be updated here. 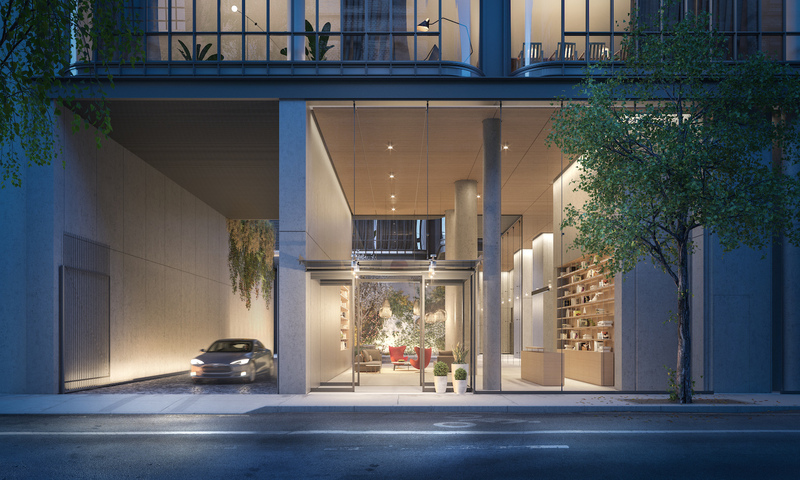 New images of Renzo Piano Building Workshop’s first residential building in New York City have surfaced, showing off the façade and a few of its amenities. The 30-story tower will be split into two spires, and will be located at 565 Broome Street in Soho. "565 Broome SoHo" will offer a total of 115 residences, including two duplex penthouses. The other units will range from studios to four-bedroom homes. The tower is being built with luxury in mind, and offers all the amenities one might expect from a top-tier residential building. In addition to a 55-foot-long indoor pool, sauna, and fitness center, tenants will be able to park their cars using a private driveway. All units will offer floor to ceiling windows and custom designed kitchen fixtures, and some will contain an outdoor living room and private pool. The building’s facade is being built with powder-coated aluminum and acoustic glass to keep out the noise of SoHo and the neighboring Financial District. Renzo Piano’s other buildings in New York include the Whitney Museum and the New York Times Building. The Whitney Museum of American Art's upcoming Dreamlands: Immersive Cinema and Art, 1905–2016 will chronicle the ever-evolving world of cinema. Dreamlands, running October 28, 2016 to February 5, 2017, will traces film's evolution across its lifetime, exploring how filmmakers and artists have disassembled and reassembled cinema to create a range of “experiences of the moving image,” as a press release said. The featured artworks will include installations, drawings, 3-D environments, sculpture, performance, painting, and more. The works will be primarily from American filmmakers and artists but some influential 1920s German pieces will also be display. The numerous filmmakers and artists featured will include: Walt Disney, Frances Bodomo, Bruce Conner, Alex Da Corte, Dominique Gonzalez-Foerster, Liam Gillick, Syd Mead, Mathias Poledna, Oskar Schlemmer, Hito Steyerl, and Stan VanDerBeek. The exhibition will consist of three different parts, each showcasing distinct periods of film's technological evolution from the early 1900s to present-day. The earlier works capture a period of experimentation from 1905 to the 1930s when “sweeping camera shots, abstraction, color, music, and kaleidoscopic space were used to create what [film historian] Tom Gunning has called a ‘cinema of attractions.’” The next part of the exhibition displays work from the 1940s to 1980s. Included in this large breadth is CROSSROADS, Bruce Conner’s 1976 short film capturing the July 25, 1946 Operation Crossroads Baker underwater nuclear test at Bikini Atoll in the Pacific; Destruct Film, a 1967 projective installation by Jud Yalkut which uses the projected light as a sculptural material; and production design paintings for Syd Mead’s 1982 science fiction film Blade Runner. Lastly, the period from the 1990s to present-day exhibit a highly diverse collection of works that demonstrate the introduction and incorporation of more advanced technologies such as touch screen and "virtual space." 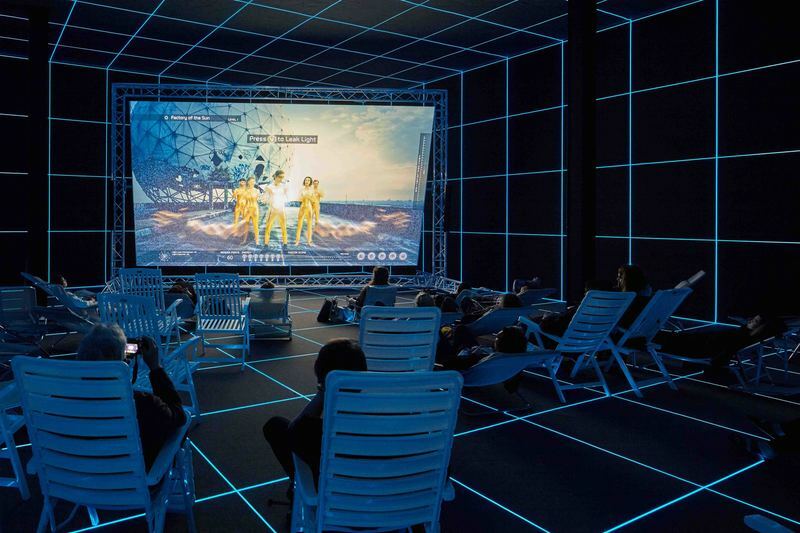 Also on display will be Factory of the Sun, an installation by Hito Steyerl, originally created for the German Pavilion at the 2015 Venice Biennale. When the new Whitney Museum of American Art opened on Manhattan’s West Side a little over a year ago, critical reactions were mixed. 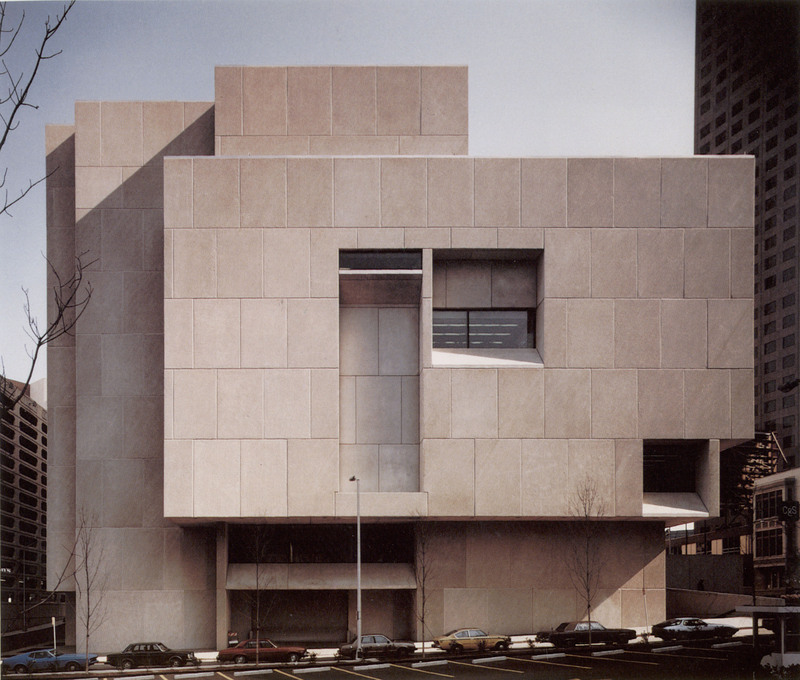 Like the majority of contemporary commentary, much of the critique was aimed at the outside of the building. There was also praise for an interior that defers to the art and a bit of positivity about the views. Some gushed about how daring it was for a building to physically engage with its surroundings at ground level. 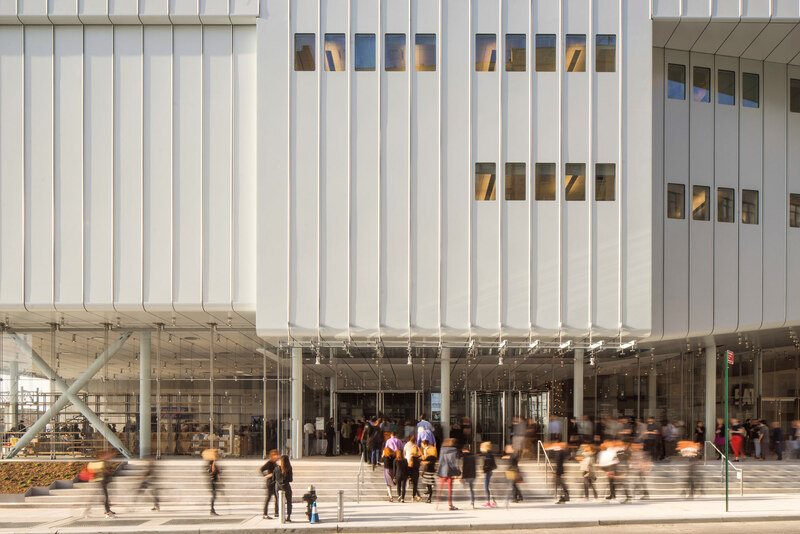 However, a year after the initial “wait and see,” it is time to call the Renzo Piano–designed Whitney building what it really is: An architectural tourist trap. It is the conceptual built equivalent of Guy’s American Kitchen and Bar (GAKB) in Times Square. What does a tourist trap do? Like any good tourist trap, the Whitney relies too much on its surroundings. The site at the apex of the High Line along the Hudson River is one of the best in the city. An architect would have to try hard to not have great views. Putting a few couches along floor-to-ceiling windows is not a world-class experience—most locals can get sixth-floor views from a friend’s roof or balcony. Like GAKB in Times Square, the Whitney has such a good location for its purpose that it doesn’t actually need to do anything to attract visitors. It is just there, housing an awkward collection of early modern art—good Hoppers and mediocre Ruschas. Because it is a tourist trap, it also doesn’t need to inspire anyone to come back. What about this museum makes us want to visit again? We come for Piano, much like diners come for Guy. At GAKB, there is not decadent, diner-inspired food, only limp lettuce and uninspiring Caesar dressing. At the Whitney, where are Piano’s poetic details? Where is the tectonic novelty? What happened to the inventive, integrated systems and materials? The Whitney is all of the bad things about Piano’s work: It is washed-out and soulless, without any of the Piano magic. How can we connect to it? 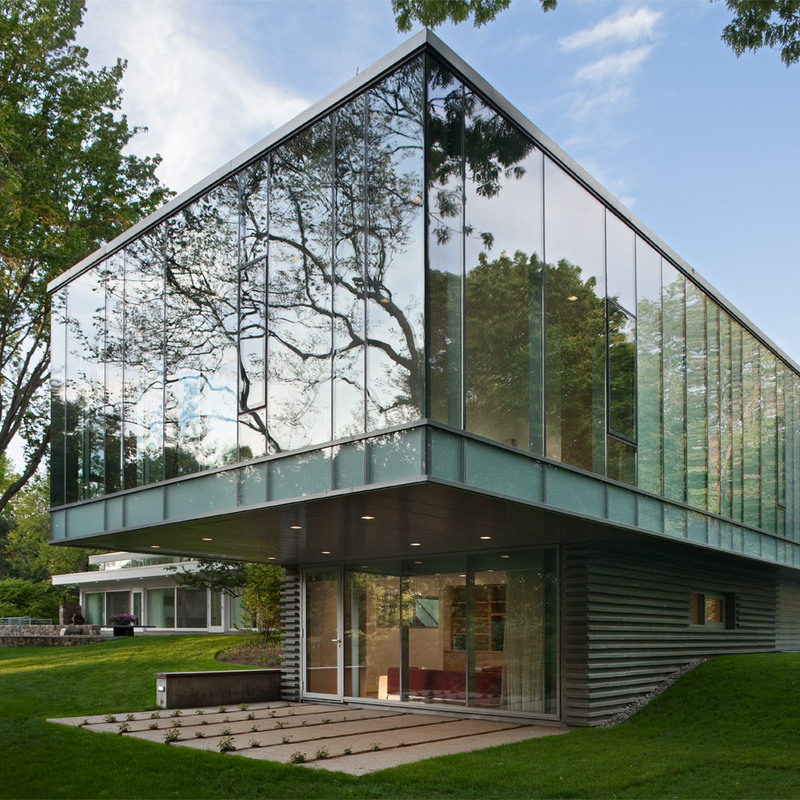 The outdoor spaces seem arbitrarily proportioned and like afterthoughts. We might find the under-designed railings at an institutional building or a second-rate theme park. The oft-heard excuse is that this is part of the industrial heritage of the site, and is meant to evoke being on a fire escape. Yes, beloved industrial buildings and fire escapes have fine characteristics—materiality, the patina and layers of time, spatial experiences with compression, release, and difficult corners, and odd juxtapositions of railings and stairs—the Whitney has none of these. Instead, it is all out of scale, sterile, and unengaging. The tourist trap analogy is not one of immediate political context. Yes, many of the visitors to the Whitney are tourists. But the point is that the building has nothing to offer beyond its celebrity status. Deferring to the art is not an excuse. What if the Four Seasons had “deferred” to the food? What if the Ford Foundation had “deferred” to people working? An off-the-shelf metal shed can do a fine job protecting farm equipment, but isn’t the landscape better off with some actual design? The condos on the Williamsburg waterfront are amazing places to hang out, cook, and enjoy the views. It doesn’t mean they are great architecture. Connecting with the city and functioning properly should be baseline requirements of a building, not something to hold up as great architecture. We should demand more exciting design and value it as part of the gesamtkunstwerk of a museum: art, architecture, and city in harmony to create a place, as well as an experience. Manhattan already has a problem with stale homogeneity; we need to demand that architects and clients not contribute to it. After all, no one ever said it was form or function. The New Museum will double in size in time for its 40th birthday next year, as it expands into next-door 231 Bowery, which is currently offices, a gallery, and artists' live/work space owned by the museum. The museum announced yesterday that it had raised $43 million of the $80 million needed to pay for the expansion and to triple the endowment. 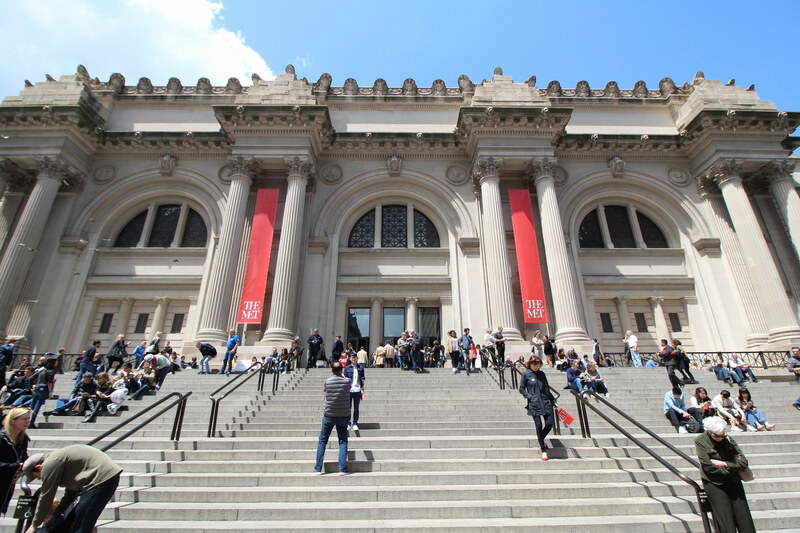 Although the funds seem modest in comparison to the MoMA (annual operating budget: $147 million) or the Whitney, the capital campaign is the largest in the New Museum's history. The $80 million will also pay for the institution's business incubator, New INC, and programs like IdeasCity, which bring artists, activists, planners, and policymakers together to discuss issues facing cities like Detroit and Athens, Greece. 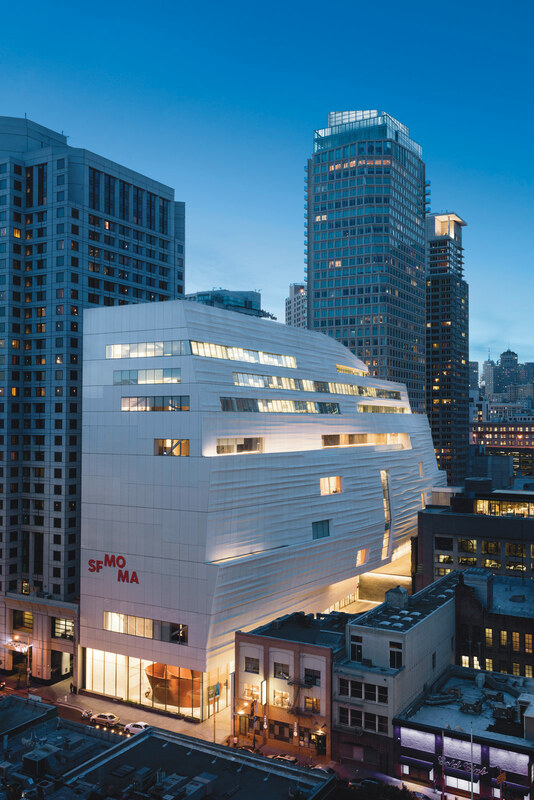 Since the museum's move to Soho in 2007, annual attendance has increased from 60,000 to over 400,000. 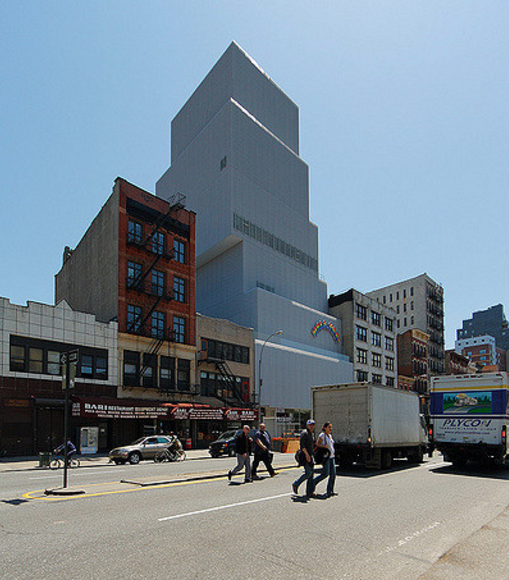 The museum intends to renovate 231 Bowery and connect it to their main Sanaa–designed space, increasing the total footprint from 58,000 square feet to over 100,000. As of now, there are no plans to demolish 231 Bowery. The expansion will allow for improved circulation, and keep exhibitions on view during turnaround periods: The New Museum has a tiny permanent collection, choosing instead to focus on women artists and art that's not usually exhibited in New York.